To those who believe that the EU shares a set of clear and well-known values, think again. During an event in Montenegro last week, a high-ranking Hungarian official told this reporter that ‘solidarity’ cannot really be defined and no one has the right to monopolise their definition. This was Szabolcs Takács, Hungary’s minister of state for EU affairs in Prime Minister Viktor Orbán’s office. He replied that when a country joins the EU, there is no provision in the accession treaty that it has to be a ‘migrant’ country. “This is not about European values. Becoming a migrant country is not a European value,” he said. Such views are increasingly accepted as mainstream, in line with a conviction shared by many Hungarian officials at the height of the migration crisis in 2015, that “we are only saying aloud what most others think but won’t say”. Following last week’s EU summit that mainly dealt with migration, Greek Prime Minister Alexis Tsipras summed up the problem. “What we have known as the founding principles and values of the EU – solidarity, humanism, respect for human rights and international law – are not a common place for the 28,” he said. The Visegrad countries hailed the Council’s conclusions that will not oblige them to take in refugees. Hungary is one of the many EU countries that have refused to implement a previous decision on mandatory migration quotas. “Can you define what solidarity is? Can you give me a definition? Is it only mandatory relocation quotas? No,” Takács said. In his view, the V4 countries have shown solidarity by pledging €35 million to the EU Trust Fund for Africa. “Financial support is also solidarity. No one has the right to monopolise the definition of solidarity,” he said. Like it or not, he said, Italians and Austrians have voted against migration and others are following. He also praised Austrian Chancellor Sebastian Kurz for signing an agreement with the V4 prime ministers to set up a Western Balkan Border Protection Mechanism. These statements would have been roundly condemned a few years ago. But the political compass in Europe’s centre-right family, to which both Kurz’s and Takács’ parties belong, has shifted. 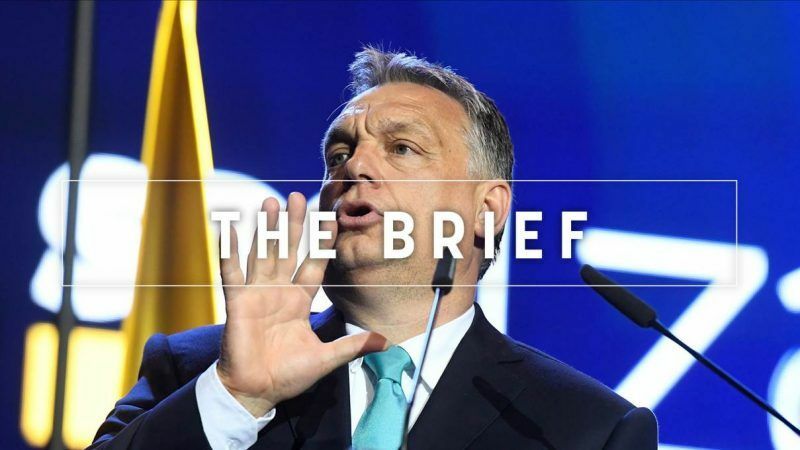 Many believe that the EPP is just tolerating Orbán, but this is not true. Orbán is tolerating the EPP and will continue to do so unless and until pro-EU forces in the EPP reject his brand of nationalist populism. The first day of Austria’s stint at the helm of the rotating EU Presidency already made clear that the next six months will be a diplomatic challenge for the country. Chancellor Kurz pledged to shield Schengen as the border dispute unfolds. Austria also unveiled its energy and environment work plan for EU Council meetings. The EU is in battle mode and ready to start a trade war if the US will hit European cars – because they could pose a possible threat to national security. The US Chamber of Commerce is not happy and has assailed Trump’s handling of the trade dispute. Seek a new data deal with the EU immediately or be doomed, MPs told the UK government in a new report. Today is International #PlasticBagFreeDay! Thailand has become one of the largest dumpsites for electronic waste since China’s January ban on the import of plastic waste. Despite Lithuania’s atomic angst, an EU nuclear inquest approved an under-construction nuclear power plant in Belarus. However, a number of recommendations to the national regulator were made. Overworked interpreters brought the Strasbourg plenary to a standstill for 30 minutes earlier today. It left Antonio Tajani and Jean-Claude Juncker less than amused. Polish PM Mateusz Morawiecki delivering a speech in the Future of Europe debate in the Strasbourg plenary session. Look out for a heated debate, as MEPs might also grill him over the Polish Supreme Court overhaul that entered into force on 3 July. Brussels’ streets were set on fire (not actually though!) after the Red Devils scored a dramatic last-minute winner against Japan. Following the heartbreaking loss, there is a reason why the country of the rising sun deserves a fair play award. Brazil sent Mexico home in the earlier game, although star player Neymar drew both praise and criticism for his display. During the game things got a bit rough. Anyone using the word ‘xenophobia’ is your enemy.